Blog | NYC Real Estate Investment Cooperative | New York City Real Estate Investment Cooperative (NYC REIC) leverages the patient investments and political power of members to secure permanently affordable commercial properties in NYC. Save the Date: All-Member Meeting January 27, 2019! NYC REIC members! Flux Factory Gala December 4th! NYC REIC members! Please come out to support one of our potential project partners, Flux Factory. Flux will be honoring the NYC REIC alongside Queens Borough President Melinda Katz at their annual gala and auction on December 4th! The fabulousness will all happen at the LICA Gallery, located at 5-25 46th Avenue in Long Island City, starting at 7:00pm and going until 10:00pm. IMPORTANT! ALL-MEMBER MEETING MAY 29TH! Please RSVP here. New members welcome. Big News: NYC REIC is in Business! We now have approval from the New York State Attorney General Real Estate Bureau to collect money from members and use it for real estate investment. Here is our application and the approval. Join now so you can shape and invest in our first project. Members will be endorsing specific projects for investment at the upcoming 2018 all-member meeting. Do you know a place we should work together to secure for community use? Suggest a project. The diligent readers among you of our newsletters know that we recently announced our intention to hold the First Annual Election of the new Board of Directors at our upcoming Fall All-Member Meeting. After much deliberation, the Founding Board (formerly the Steering Committee) and the Nominating Committee has decided to postpone the elections until Spring 2018. New Board Elections on November 12th! Join us for Board Elections of the NYC Real Estate Investment Cooperative at our next All-Member Meeting! Sunday, November 12 from 3pm to 6pm at Prime Produce (424 West 54th St, between 9th & 10th Aves., Hell’s Kitchen, Manhattan, NY 10019): A, C, B, D, 1 at Columbus Circle or 50th Street. Run for the Board of the NYC Real Estate Investment Cooperative (or nominate someone you know)! Join us at the next the Quarterly All-Member Meeting, at the Brooklyn Public Library! 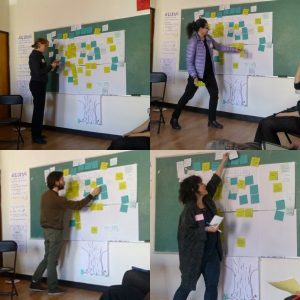 REGISTRATION IS LIVE for our next All-Member Meeting, with a community land access workshop from 596 Acres! It’s on Tuesday, July 25 from 6:30pm to 8:30pm at Central Library (Brooklyn Public Library) (10 Grand Army Plaza) in the Information Commons. It’s great for: people and groups planning new community spaces, seeking stable work and cultural space, organizing to preserve existing ones, or interested in supporting grassroots real estate development! Find more more information and RSVP at reic4nyc-july.eventbrite.com! We held our Quarterly All-Member Meeting on May 7th at Word Up Community Bookstore on Amsterdam Ave at 165th Street in Washington Heights! Find about about the many ways this bookstore is serving, preserving and building the neighborhood, and their open hours, at wordupbooks.com. We hope some of us can join them for their 6th birthday party, which will be a free block party with live music, readings, painting, and more on Saturday, June 17th, 11am–6pm (plus a $10 cover dance party starting at 7pm)! All-Member Quarterly Meeting- MAY 7th! We invite all members of the REIC, as well as anyone interested in joining our cooperative, to our Spring 2017 quarterly All-Member Meeting! 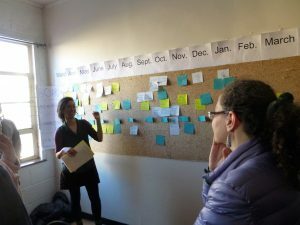 Join us to hear updates from our Founding Board, view the roadmap for us moving forward that was developed at our strategic planning meeting in March, hear report-backs from committees, and get more involved by joining a new working group. Also on the agenda – an interactive session where REIC members new and old can learn and ask questions about our business model and structure.